The story of Uzzah (Uzza in 1 Chronicles) is a difficult passage to understand for many people in the religious world. It seems very harsh by standards of man’s wisdom yet it shows the nature of God in a clear demonstration of law. Following the conquest of Jerusalem and defeat of the Philistines, David the king gathers Israel together to deliver the ark of God. There is a lot of excitement and joy at the victories given the people by the mighty hand of the Lord. Setting the ark of God on a new cart Uzzah and Ahio drove the ox cart with great anticipation of what was to come. Little did Uzzah know that in a short time he would be dead. David was playing music on all types of instruments as the festive mood of worship filled the air. Then it happened. Nearing the threshing floor of Nachon the oxen lost footing and stumbled. Uzzah reached back to hold the ark of God and the Lord struck him dead. Shocked and dismayed David was angered at what happened to Uzzah. Was David right in his anger? Reviewing the story in closer detail will explain the justice of the Lord. The ark of God was not just an ordinary thing. Verse 2 of our text clearly shows the ark is of God, “whose name is called by the Name, the Lord of Hosts, who dwells between the cherubim.” This was not grandmother’s bow-front. Under the Law of Moses the handling of the ark of God was very specific. It was to be carried only by Levites and that it should be veiled even from their eyes (see Numbers 4). 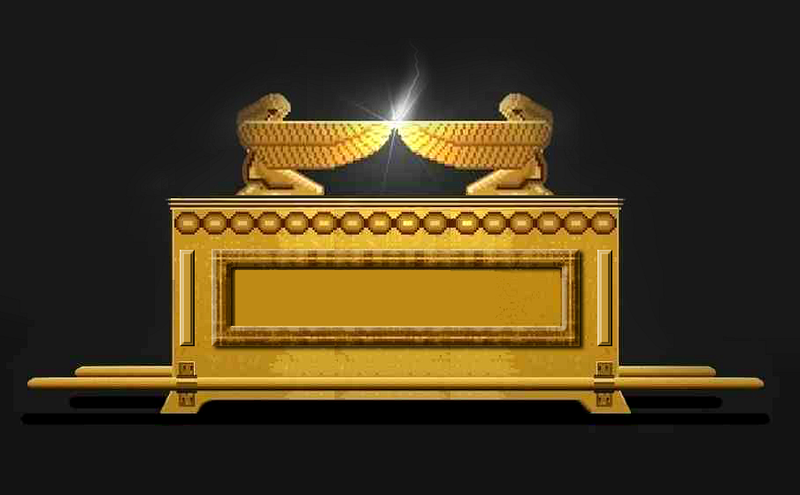 Uzzah had been part of the family that for the last seventy years had the ark of God in their home. Earlier (1 Samuel 7) the ark of the Lord had been brought to the house of Abinadab. Now David was moving the ark out of the house of Abinadab. The oxen stumbled. Uzzah put out his hand to stay the ark. God struck him dead. Did it matter that David was carrying the ark of the Lord on a new cart driven by oxen? For all the good the shepherd king thought he was doing his actions brought about the death of Uzzah. When the oxen stumbled Uzzah thought he was doing a good thing by putting out his hand to stay the ark but the law of God was very clear. Were the actions of David and Uzzah going to change the law of God or His will? The law of God remained the same. The death of Uzzah is a powerful testimony that obedience to the word of God is necessary. In the religious world today the common theme is it does not matter what one believes as long as one loves the Lord and is kind to his fellowman. Attend the church of your choice is acceptable. Salvation comes in many forms but does not matter in the end. Every religion is pleasing to God as man seeks to worship in his own way. Finally no judgments should be made to the lifestyles of others – we are all God’s children and He will not condemn us. If Uzzah were here today he would disagree with all of these tenets of modern religion. There will be a lot of people like Uzzah standing before the Lord in judgment that will find this to be the greatest lie of Satan. The devil does not want us to disbelieve in God but rather believe in Him just enough to make us feel good but then do what we want to do. Jesus declared the Father’s word was truth. It does matter what I believe. The choice we make is eternal. This entry was posted in Character Study, David, God, Law of Moses, Mercy, obedience, salvation. Bookmark the permalink.